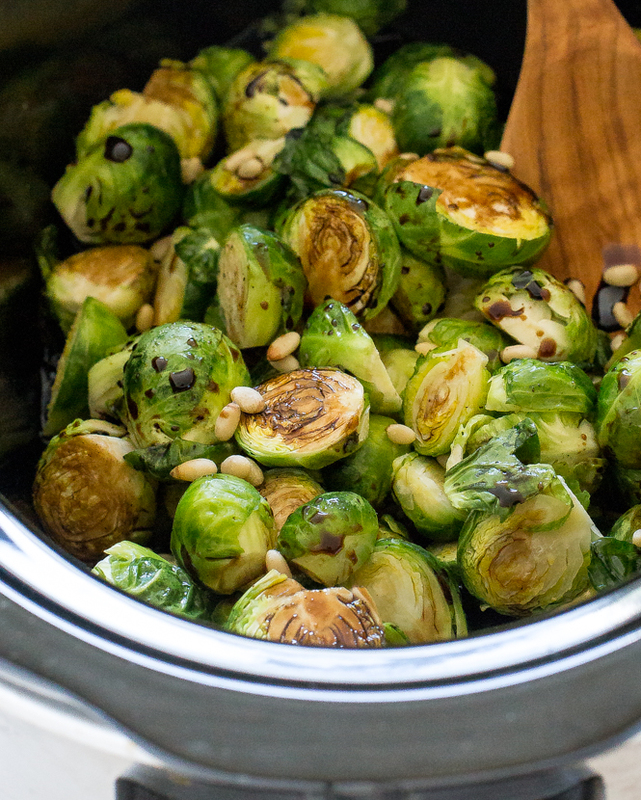 These Slow Cooker Balsamic Brussels Sprouts are the perfect side dish for your holiday menu. They take up no oven space AND only take 10 minutes of prep time. All you need for this recipe are a few pantry staples: olive oil, salt, pepper, balsamic vinegar and brown sugar. 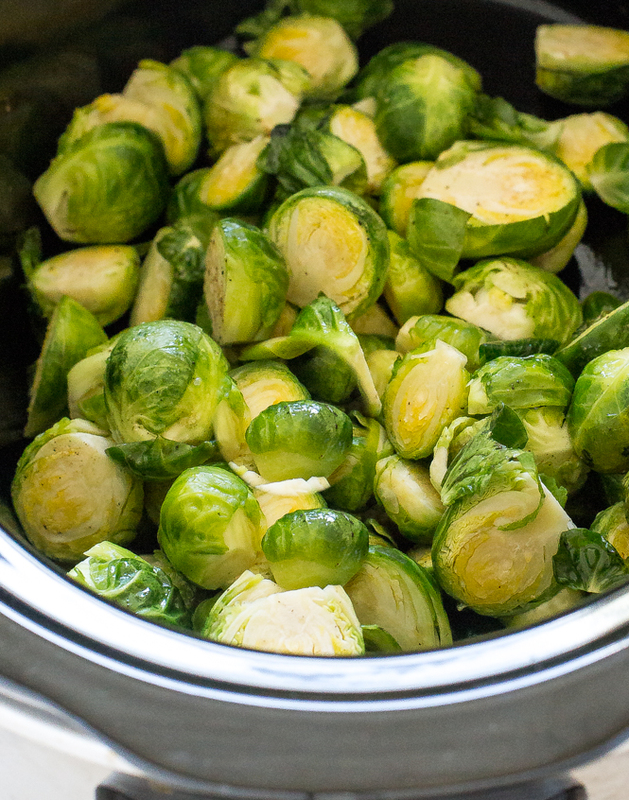 Simply toss in the halved brussels spouts into the slow cooker along with some olive oil and a little salt and pepper. Cook on low for 3-4 hours or on high for 1-2 hours. For the balsamic reduction simply add balsamic vinegar and brown sugar to a small saucepan. Simmer for 10 minutes or until the sauce has reduced by half. Keep warm until ready to use. For an added crunch I like to toss in some pine nuts. 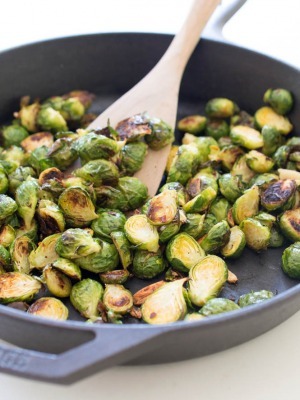 You can lightly toast these before serving with the brussels sprouts. Grated parmesan is also fantastic on top of these! 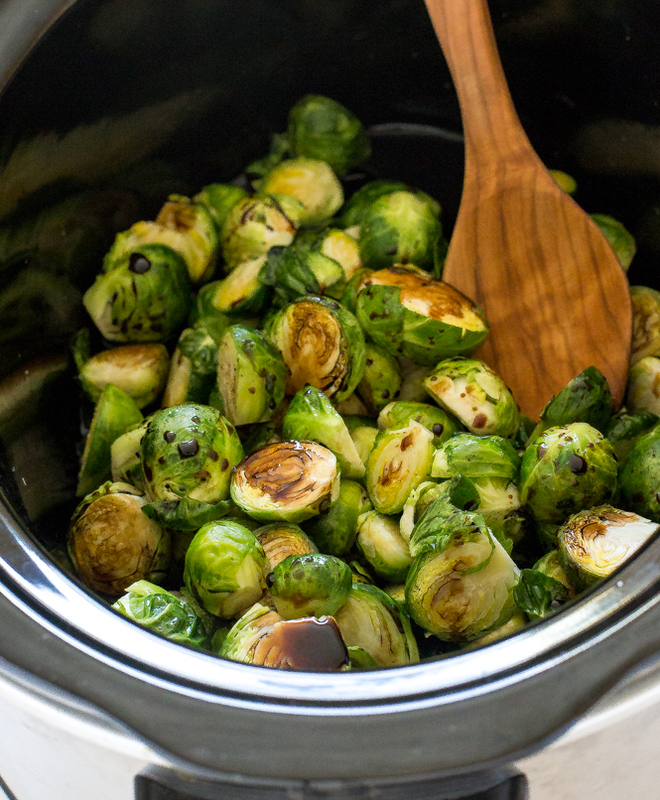 Add brussels sprouts and olive oil to a slow cooker. Sprinkle with salt and pepper to taste. Cover and cook on low for 3-4 hours or on high for 1-2 hours or until tender. 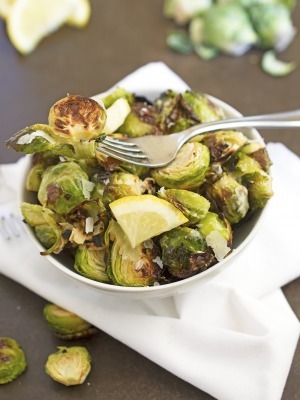 When the brussels sprouts are ready drizzle with the balsamic reduction and serve immediately with pine nuts and parmesan cheese, if desired. Add balsamic vinegar and brown sugar to a small saucepan. Simmer for 10 minutes or until the sauce has reduced by half. Keep warm until ready to use. These look incredible Kelley! I love finding new things to do with brussels sprouts! Do you think sunflower seeds would be a good substitute for pine nuts? I think raw shelled sunflower seeds would be a nice substitute. I would recommend roasting them beforehand. These look extraordinary! I enjoy locating new points to do with brussels sprouts! Would it work if I put some baby carrots in with it? I have not tried it with baby carrots but I think it will work out just fine. They should take about the same time or maybe a bit longer. Great easy side! We will be having these for Christmas – I know they will be a hit – Thanks! can i use stevia instead of brown sugar? They look wonderful! Part of tonight’s supper. What do you think about toasted sesame seeds rather than the pine nuts?